- Always, the most important thing is winning it. We are facing new challenges. The team play using a different formation. There are some changes, but I can already see the progress. The coach gives us confidence in our own strength. 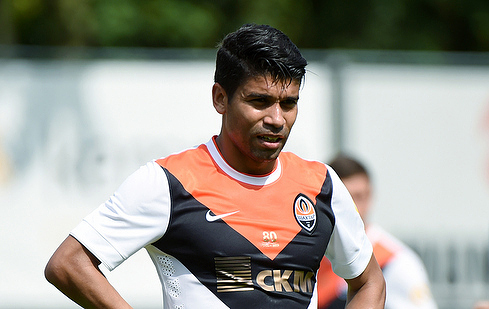 Shakhtar step it up, but it takes time and patience. We must believe in what we do. Paulo Fonseca is an experienced coach. He enjoys full credibility with the club and the president. It is important that all the players embrace his vision of the game. We still have a week to prepare for the match against Dynamo. Training sessions are busy and interesting. It's nice to work in such a team. We have a great atmosphere. We hope that all together we will produce the result. - In terms of added confidence it is important that we’ve won it. I think we will step it up more. Shakhtar had control of the game throughout the ninety minutes. I think we’ve managed to master the new formation quickly enough. It is somewhat similar to the previous one, but it differs due to more interaction and a more compact performance. As you have seen, the match was quite spectacular, we tried not to miss out on the scoring chances and just outclassed them with great technique and dribbling. We still have another week before the first competitive game. Most importantly, we have no injuries. Everyone’s in optimum form. We are ready for new challenges and will be able to succeed.